At Monday’s kickoff to the 2019-20 legislative session, both the Senate and Assembly held their respective organizational sessions to seat newly-elected members. Eight seats in the Assembly change hands for 2019-20, as do nine seats in the Senate. On Monday, the desk was also opened for 2019-20 bill introductions, with 198 bills submitted thus far. Following the organizational sessions, the Legislature stands in recess until January. Click here to download an Excel table from the California Department of Education on which school districts are represented by which legislative districts. -The “Summary” tab offers a list of school districts and an overview of which legislative districts overlap with the school district boundaries. -The “Detail” tab shows what the percentage and the total square miles of each school district that are represented by different legislative districts, and the name of the current legislator (names of newly-elected legislators are highlighted) and a link to the legislator/representative. (Websites for newly-elected members of Congress are not yet active). A majority of the nearly 200 bills introduced thus far are what are known as “spot bills,” which are bills that, as introduced, make a minor non-substantive change to code or simply express legislative intent. Spot bills introduced in December are intended as “placeholders” for a more substantive proposal to be added at a later time. Assemblymember Al Muratsuchi (D-Torrance) has introduced Assembly Bill 39, which matches the language of AB 2808 from 2018, which would increase the Local Control Funding Formula base grant targets; AB 2808, which was cosponsored by CSBA, was significantly amended and ultimately held in the Legislature on the final day of the 2018 session and not sent to the Governor’s desk. Other bills of note introduced are a package of three bills submitted by Asm. Kevin McCarty (D-Sacramento) on early childhood education, including a $500 million ECE facilities bond act (AB 123, AB 124 and AB 125) and AB 48 (O’Donnell, D-Long Beach), a spot bill titled the “Kindergarten-Community Colleges Public Education Facilities Bond Acts of 2020 and 2022.” Asm. O’Donnell expressed his intent to introduce this bond act on Sat., Dec. 1 during CSBA’s “State of the State” panel, the capstone event of the 2018 Annual Education Conference and Trade Show. Sen. Bob Wieckowski (D-Fremont) has also introduced Senate Bill 13, also a spot bill, that would “express the intent of the Legislature to enact legislation that would reduce impact fees and other existing barriers for homeowners seeking to create accessory dwelling units for the purpose of creating additional residential housing within their neighborhoods.” It remains to be seen if the language of SB 13 will ultimately mirror Sen. Wieckowski’s SB 831 from 2018, a bill opposed by CSBA which, as originally written, would have prohibited school districts from assessing school impact fees for the development of accessory dwelling units (commonly known as “in-law units,” “granny flats” or similar). 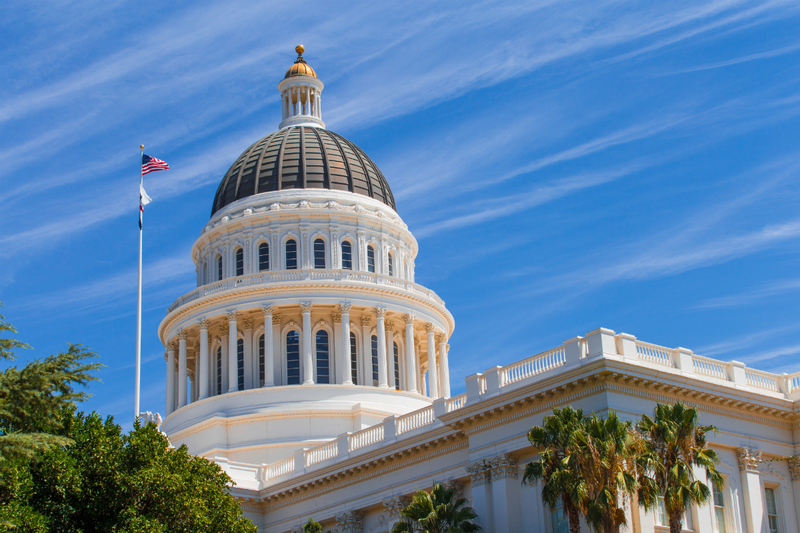 CSBA does not have an official position on any bills introduced thus far for the 2019-20 session. Coming into the Nov. 6 election, Democrats held 55 seats in the Assembly to Republicans 25, with five seats flipping from Republican to Democrat (three over incumbent Republicans) for a total of 60 Democrat seats and 20 Republican for 2019. That’s a three-fourths majority in the Assembly and nearly the same in the Senate, where Democrats gained three seats (two over incumbent Republicans) for a total of 29 seats to Republicans’ 11. Assembly District 15 (Richmond/Berkeley): Buffy Wicks (D) wins seat vacated by Tony Thurmond (D). Assembly District 16 (Dublin-Contra Costa): Rebecca Bauer-Kahan (D) wins seat over incumbent Catharine Baker (R). Assembly District 30 (Salinas): Robert Rivas (D) wins seat vacated by termed-out Anna Caballero (D). Assembly District 38 (Santa Clarita): Christy Smith (D) wins seat over incumbent Dante Acosta (R). Assembly District 40 (San Bernardino): James Ramos (D) wins seat vacated by Marc Steinorth (R). Assembly District 72 (North Orange County): Tyler Diep (R) wins seat vacated by Travis Allen (R). Assembly District 76 (Oceanside): Tasha Boerner Horvath (D) wins seat vacated by Rocky Chavez (R). Senate District 8 (Gold Country/Fresno): Andreas Borgeas (R) wins seat vacated by termed-out Tom Berryhill (R). Senate District 14 (Fresno/Delano): Melissa Hurtado (D) wins seat over incumbent Andy Vidak (R-Hanford). Senate District 16 (Visalia/Bakersfield): Shannon Grove (R) wins seat vacated by termed-out Jean Fuller (R). Senate District 22 (San Gabriel Valley): Susan Rubio (D) wins seat vacated by termed out Ed Hernandez (D). Senate District 24 (East L.A.): Maria Elena Durazo (D) wins seat vacated by termed out Kevin de Leon (D). Senate District 32 (Norwalk/Whittier): Bob Archuleta (D) wins seat vacated by Vanessa Delgado (D), who was elected in June to serve the short remainder of the term of deposed former Senator Tony Mendoza (D). Senate District 34 (Westminster-Santa Ana): Tom Umberg (D, former Assemblymember) wins seat over incumbent Janet Nguyen (R). Note: CSBA does not endorse individual candidates for elected office in any local or statewide races. The content of this report is for informational purposes only and does not constitute an endorsement for any candidate(s). Asm. Christy Smith (District 38), formerly of Newhall USD, is the newest addition to CSBA’s School Board Caucus, comprised of members of the California Legislature who previously served as a school or county board of education member. Departing the Caucus are Superintendent-elect of Public Instruction Tony Thurmond (formerly representing Assembly District 15 and the West Contra Costa USD board) and Matthew Harper, formerly of Huntington Beach Union HSD, who came up short in his reelection bid against Democrat challenger Cottie Petrie-Norris.